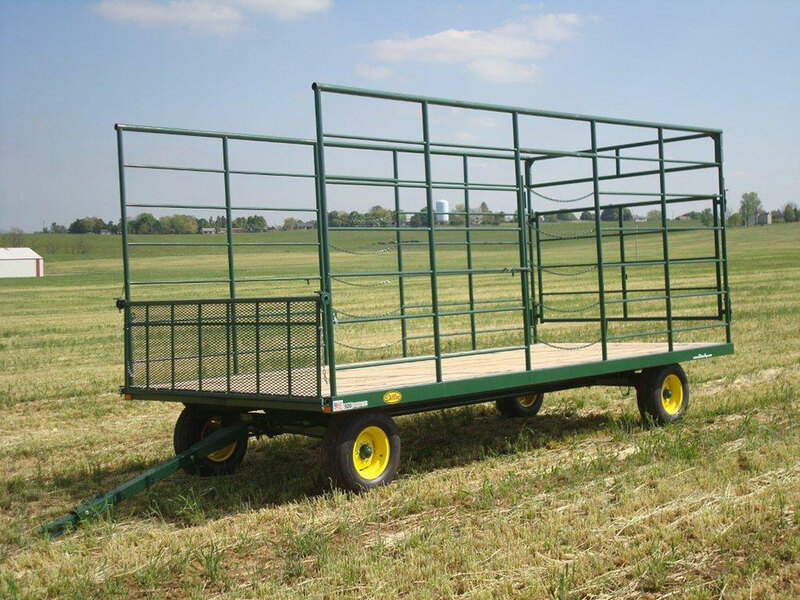 If you are looking for a small square bale wagon that is quality built and long lasting, your search is over. Diller wagons have been setting the bar for quality and durability in the industry for nearly 30 years. Many other brands today cut corners by using wood construction rather than steel. 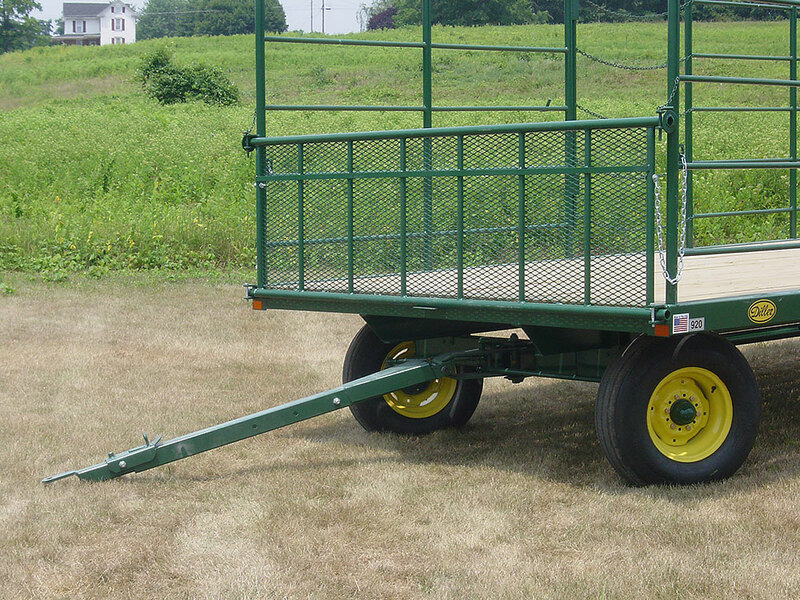 Most manufacturers offer the "option" of steel wagon frames and crossmembers, but a Diller wagon is built standard with an all-steel frame, body and sideracks. The foundation of every Diller kicker wagon is a sturdy box frame constructed of heavy duty structural channel (6" or 8" based on wagon body length). On top of the frame is a network of 3" structural channel crossmembers that run perpendicular to the frame forming the sub-surface of the wagon deck. 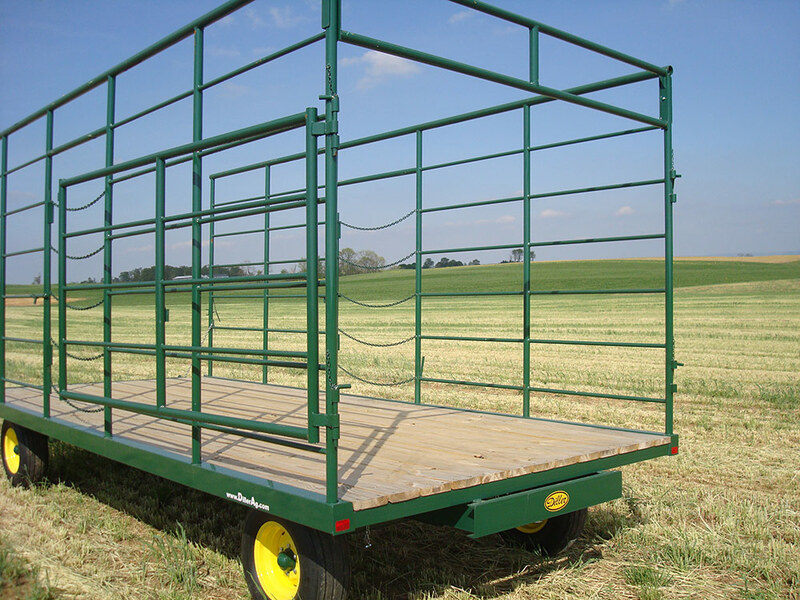 Our 12 gauge formed steel sides give your wagon an attractive finished appearance as well as housing the flush mounting points for the easily removable side racks. Each Diller wagon is then decked with 2" x 8" pressure treated lumber for the flooring and is secured with heavy duty 5/16" floor anchors. 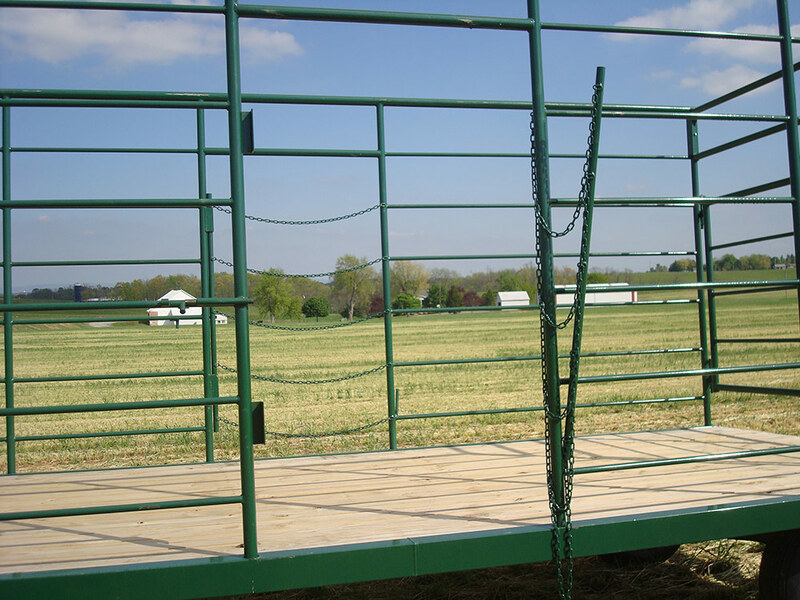 Our side-racks are designed with a 30" drop front gate and a full width gate in the rear that swings 270 degrees either direction. Centered on each side is a 45" wide chain gate opening. The side gates incorporate a Diller exclusive bind free latch design which opens easily even under the pressure of the load. The Diller sideracks are fabricated from heavy duty schedule 40 pipe making them the sturdiest wagon racks available today. 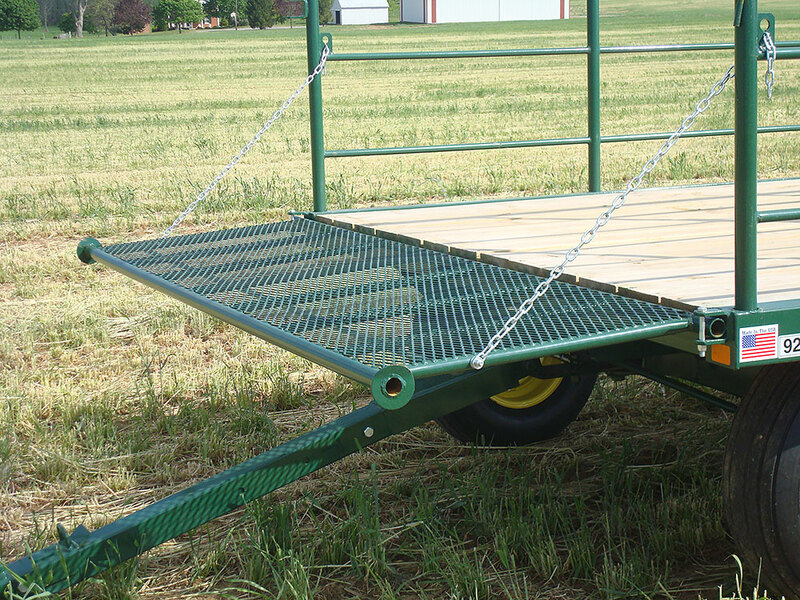 Diller small bale wagons are available in sizes & models to meet every need. Standard widths are 100" and 108" and are available in 16', 18', 20' and 24' lengths. Finally, like every other piece of Diller Ag Equipment, the Diller Kicker wagon is finished to look new for years. After fabrication, all components are acid washed to remove any oils, dirt or other contaminants that could prevent paint adhesion. A coat of epoxy primer forms the base of the finish and is topped off with a finish layer of PPG™ two-part polyurethane paint. Due to the "elastic" nature of polyurethane paint it provides a durable finish that resists fading, chalking and chipping unlike many other paints. What began as one man's vision for building the best bale wagon carries on today with superior quality and value. You might find a cheaper bale wagon but you won't be able to buy a better built or longer lasting wagon than a Diller!